Eon.Host - Professional Web Hosting - We provide solid dedicated hosting & domain registration services! Eon.Host offers you Professional, Affordable and Quality Web Hosting. We provide Shared and Reseller hosting, as well as fully managed Virtual Private Servers (VPS) and Dedicated Servers for individuals, organisations and businesses. 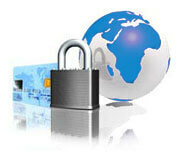 You can also purchase domain names and SSL certificates directly from us. Join Eon.Host today, have the peace of mind that we will take care of your server, while you take your online business to the next level. If you have any questions, feel free to contact us. Feb 6th Discover our amazing Winter Promotions for a few more days! Dec 17th Receive up to €250 Free Credit!